After four hours of Twin Peaks: The Return (episodes three and four are now available on demand or on the Showtime app), you may still be asking yourself what the Bob is going on here. Some faces look familiar; you’re not sure if you should remember others; memory blurs with the surrealism of what David Lynch and Mark Frost have pulled off. Let us lead the way with a handy character guide. 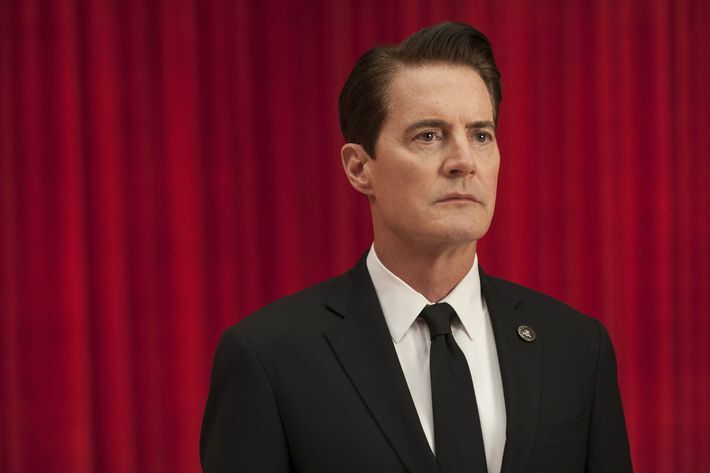 Even more than we could have predicted, the first quartet of episodes centers on Dale Cooper’s return from the Black Lodge, the nightmarish alternate universe in which he was stranded at the end of the first series. Cooper has been lost for a quarter-century in a sort of purgatory, trapped in a horrifying parallel plane in which Laura Palmer (Sheryl Lee) takes her face off and one of Lynch’s most terrifying creations, “the arm,” speaks to him. 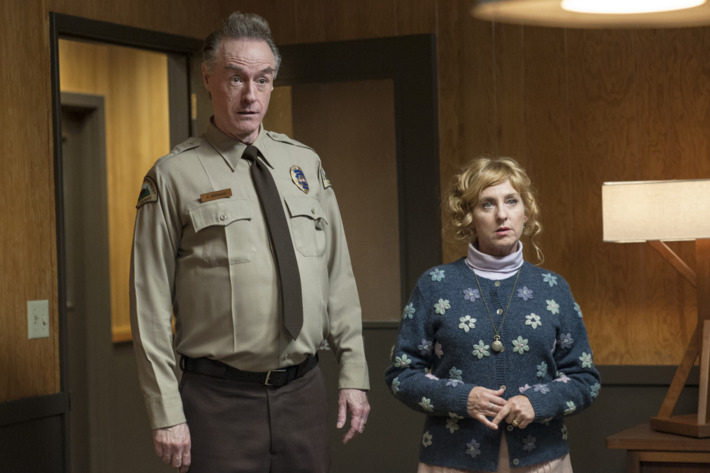 When he finally does return to the “real world,” he can barely communicate, and it seems as though he’s replaced the wrong doppelgänger, taking the life of a Nevada family man named Dougie Jones. Meanwhile, the evil Dale Cooper is a violent criminal who avoids being taken back to the Black Lodge but can’t avoid looking like Tommy Wiseau. Yes, that’s the singular filmmaker himself, back as the hard-of-hearing FBI head who gets sucked back into the world of Cooper most completely in episode four. It’s also a bittersweet pleasure to see Gordon interacting with Miguel Ferrer’s Albert again, as the wonderful character actor passed away earlier this year. We’re just thankful we got a little more Gordon and Albert action one last time. There’s almost no turnover at the Twin Peaks Police Department, and little technological development in the last quarter-century. 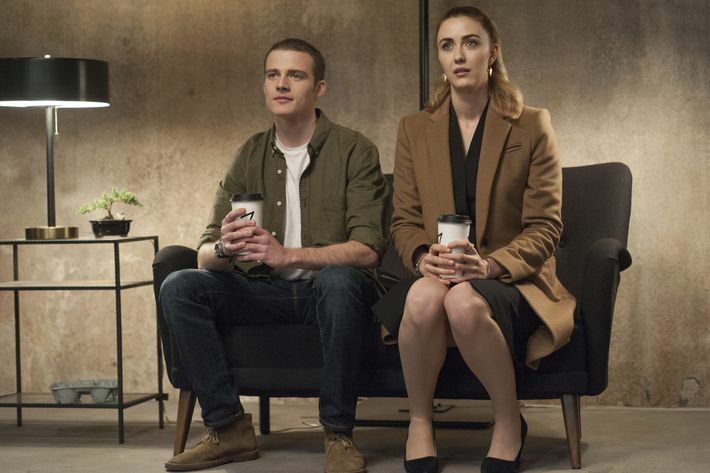 While the first four episodes of Twin Peaks are mostly terrifying, there’s something comforting in seeing that Lucy and Andy are still a couple, and as wonderfully, anachronistically naïve as ever. The revelation that Lucy essentially considers smartphones to be supernatural impossibilities is particularly amazing when one realizes how much truly otherworldly stuff is going on in these first four hours. And the casting of Lucy and Andy’s son is too perfect to spoil, even in a piece like this one. We may have spotted Mädchen Amick’s Shelley and James Marshall’s James in the Bang Bang Bar at the end of the first two hours, but Bobby gets the most notable screen time of the “young players” from the original iteration in episode four. It makes perfect sense that Bobby would follow his father into some form of authority-figure role and become a cop. 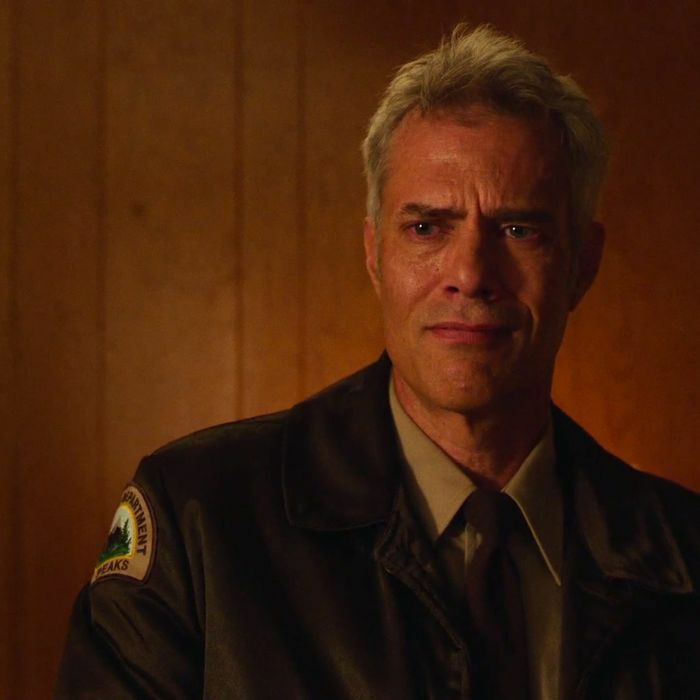 Will he be a partner or adversary for Cooper, presuming Dale makes it back to Twin Peaks? Only time will tell, but his response upon seeing Laura Palmer’s photo — and the brilliant use of Angelo Badalamenti’s theme in that moment — provided one of the truly unforgettable emotional beats of this initial quartet. If you went to get a snack, you could have missed either, but they’re back, the former still working at the Great Northern Lodge and the latter doing something far more mysterious in the woods involving spray paint and shovels. It seems likely that we haven’t seen the last of either, or Ben’s brother Jerry (David Patrick Kelly), also seen in one scene in episode one, espousing his love for edibles. 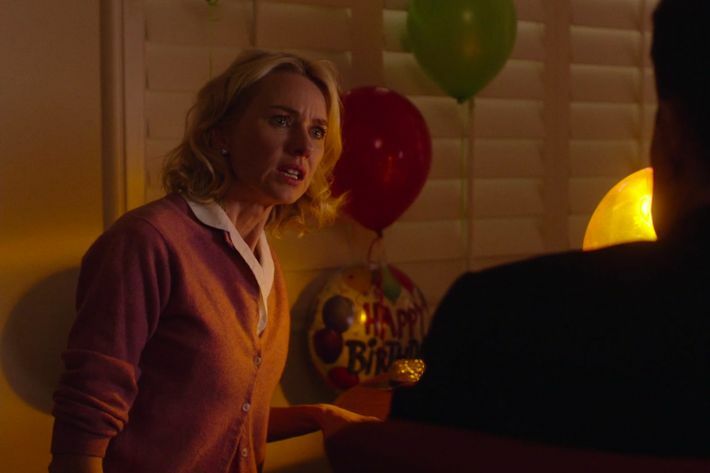 Perhaps most surprisingly, we have yet to spot Ben’s daughter Audrey (Sherilyn Fenn), although she’s reported to return this season. 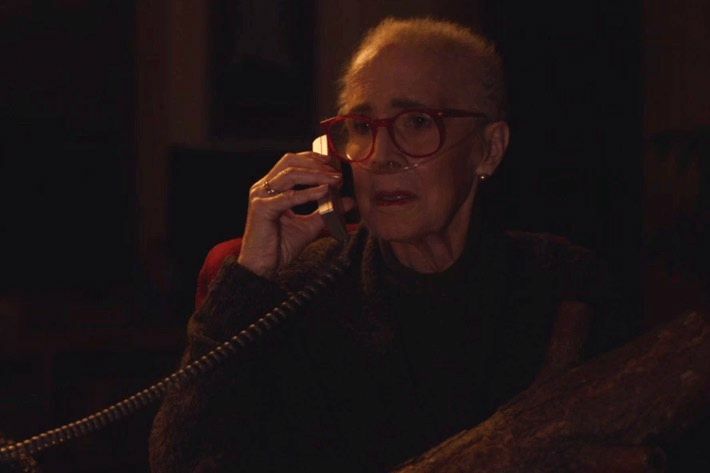 Yes, that was the original Log Lady on the phone, calling Hawk and getting an investigation started into what was missing from the Cooper files. Sadly, Coulson passed away in 2015, so this could be the last we see of her in the season, but how great is it that the Log Lady played a major role in the return? The Log wouldn’t have it any other way. It’s real hard to say for sure who’s going to play a major role over the next 14 episodes, especially given the unique tone of the first four hours, in which we met many people who felt like one-scene wonders, including Jennifer Jason Leigh, Ethan Suplee, David Dastmalchian, and Brett Gelman. 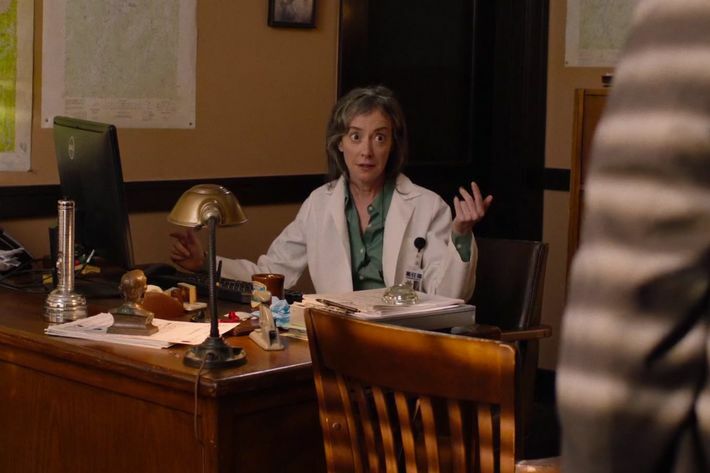 However, Watts, one of Lynch’s most beloved collaborators, will most likely stick around for a bit as Dougie Jones’s wife. 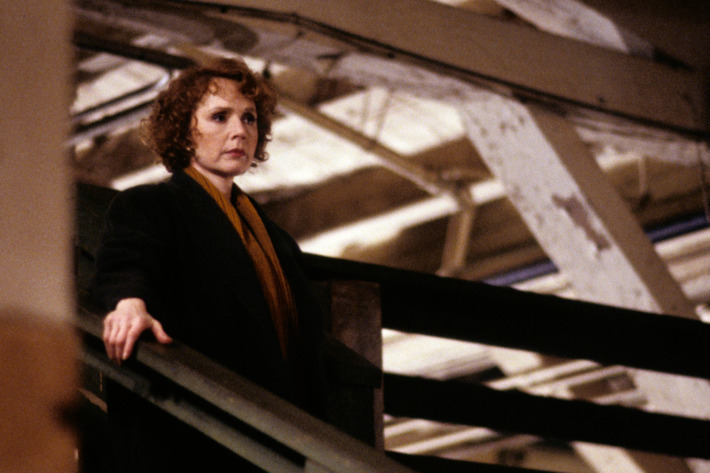 In her scenes, she conveys a wonderful blend of conflicted emotions — angry at her husband’s disappearance on a gambling jaunt, but happy that he won a lot of money. 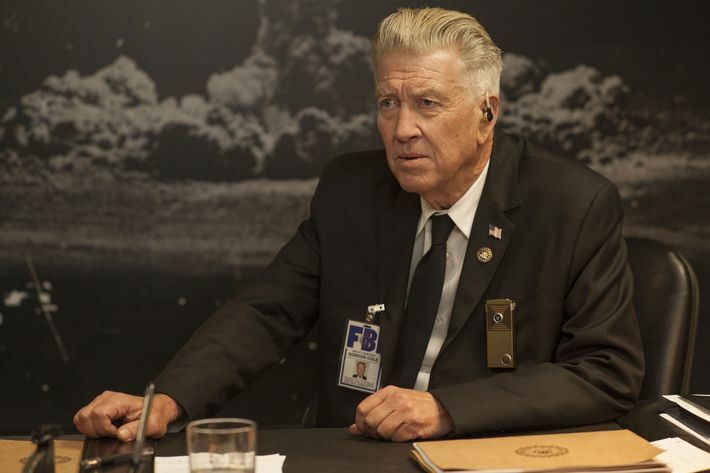 Her delivery is perfect: “This is the most wonderful, horrible day of my life.” Lynch has revealed that another one of his muses, Laura Dern, will play a major role later this year, but she’s still waiting in the wings. 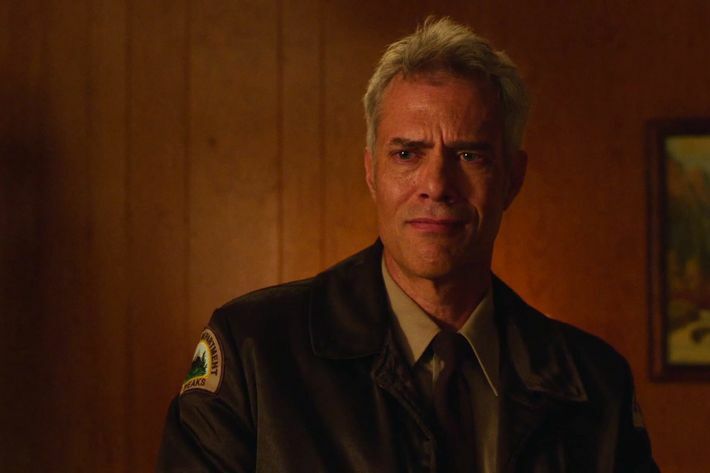 While some of the familiar faces of Twin Peaks: The Return feel like they have made all the impact they needed to in one or two scenes, it’s hard to believe that brief glimpse of Judd as Ben Horne’s assistant is the last we’ll see of her. 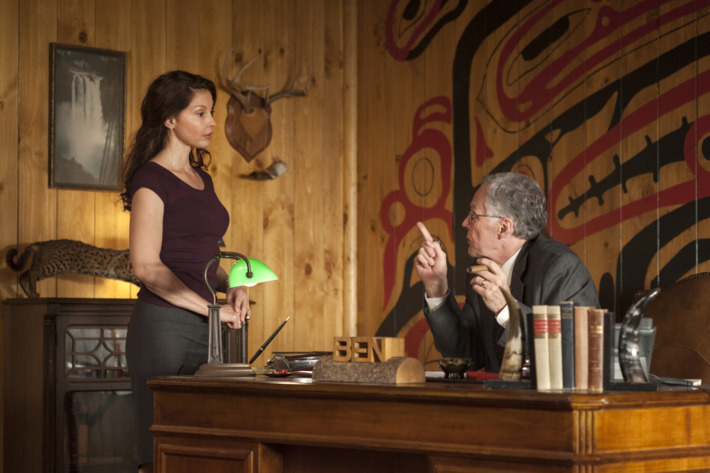 Once the show returns to Ben’s character and/or Cooper gets back to Twin Peaks, expect more from Ms. Judd. Even if Lillard’s murderous high-school principal was a one-episode wonder, it was a hell of an appearance. Accused of horrific crimes, Lillard channeled a bit of Ray Wise’s wide-eyed take on Leland Palmer, reminding us of that timeless Lynch theme: Violence can erupt from anyone, including supportive fathers and authority figures. 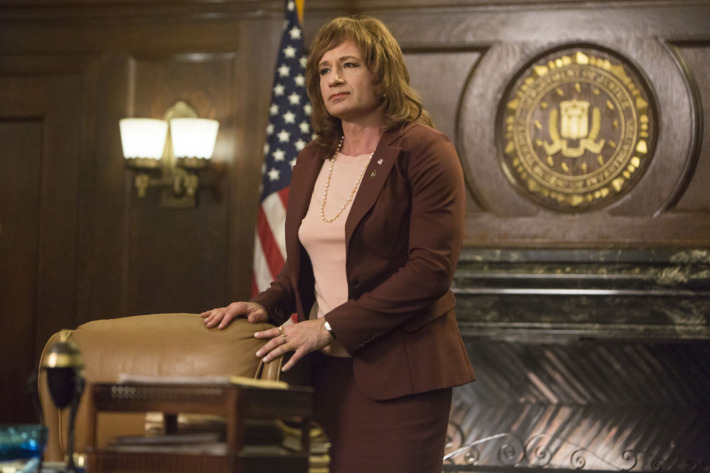 The new face most likely to return in episode five, and possibly beyond, Tammy is the new partner to Gordon Cole in his investigation into the suspicious new form of Dale Cooper. So far, her character has been little more than eye candy for Albert, but it feels like she could easily become something more. 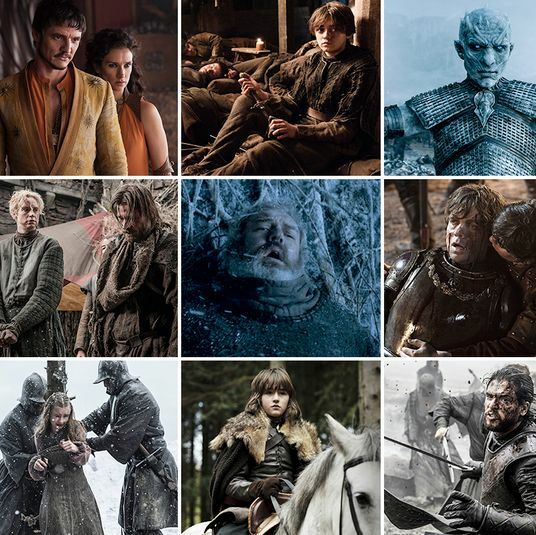 He may have been turned into food for an otherworldly creature, but Sam’s scenes in the premiere had a mesmerizing power as he watched a box, waiting for something to happen, but succumbed to urges right when he needed to be paying the most attention. There’s something unforgettable not only about Colby’s death and that of Tracey (played by Madeline Zima, the youngest daughter from The Nanny! ), but it’s equally fun to imagine his job to that point and how he got it in the first place. Who hired him? The wonderful Adams has popped up a few times as part of the South Dakota police force investigating the murder of which Lillard’s character was accused. It feels like she could easily become a part of the greater investigation into the return of Cooper, working with Gordon Cole, Frank Truman, and the rest of the gang. The square-jawed co-star of the first series retired from acting and was essentially replaced by the great Robert Forster as his brother Frank Truman. 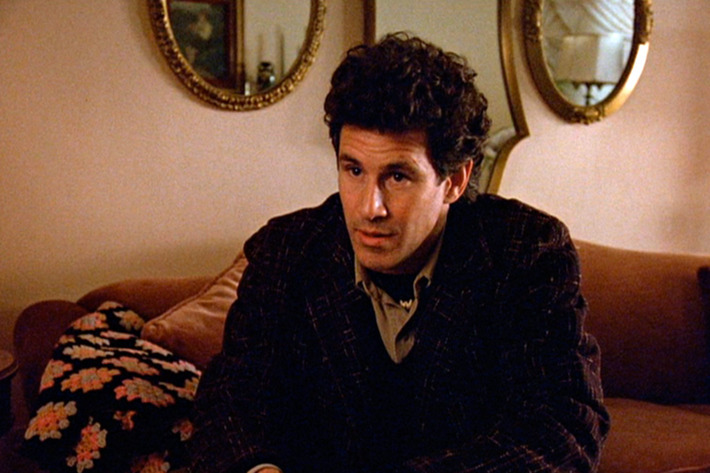 Fun trivia: Forster was asked to play Harry the first time around but turned it down due to a prior commitment. 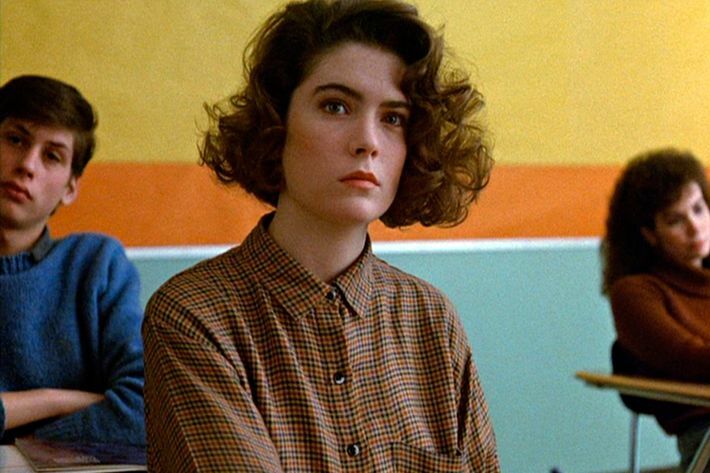 She became less and less essential as the second season of the show progressed, and was replaced for Fire Walk With Me, but it’s still going to take a little time to get used to Twin Peaks without Laura Palmer’s best friend. 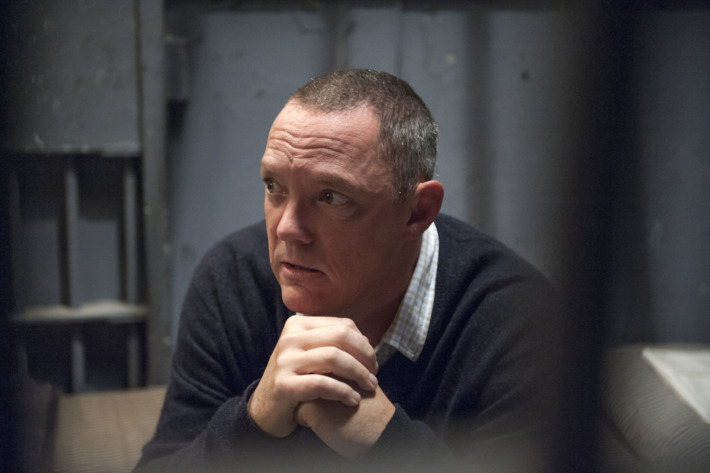 We’re definitely getting back to most of the subplots and characters of the first two seasons of Twin Peaks, but Frost and Lynch seem content to leave the saga of the Martells in the past. Laurie’s subplot in season two was so disastrous (and kind of racist), so perhaps it’s for the best. We’ll miss Jack Nance’s innocent Pete Martell most of all — the Eraserhead star passed away in 1996. 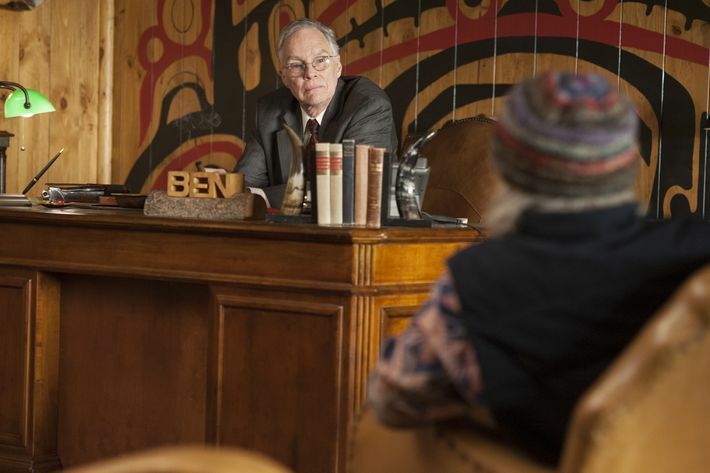 There are plenty of horrific images in the first four hours of Twin Peaks: The Return, but the show is unlikely to ever top Sarah Palmer’s vision of the malevolent Bob the first time. 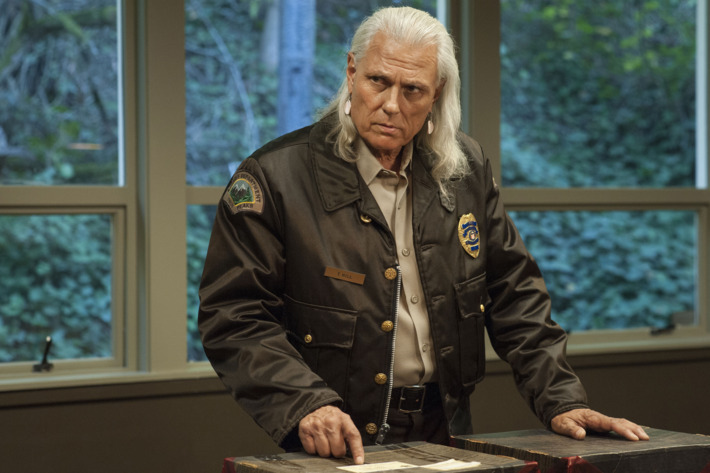 It’s interesting to see Mike in the Black Lodge, but we see no sign of Bob other than in flashbacks, because Frank Silva passed away in 1995. What’s amazing is how much his presence can still be felt in The Return. No one forgets Bob.